KSB has available the right literature for all your needs. 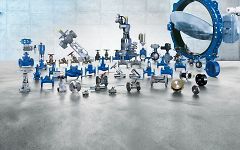 The product catalogue is a kind of product finder covering KSB's entire product range. It includes all and any technical product literature such as operating manuals, type series booklets, characteristic curves, typical tenders and CAD files for each one of our products. In this section, KSB not only provides you with technical product literature but also promotional literature like company, applications and reference project brochures as well as financial reports. 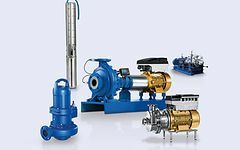 CAD data: you may configure your pumps and valves as needed using our CAD Platform and download everything in different file types. More CAD data are available for download in the "Documents for this product" section of the product catalogue.